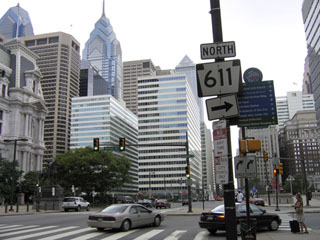 In addition to the main US routes that pass through Philadelphia (US 1, 13, and 30), historically some shorter branch routes terminated in the city. 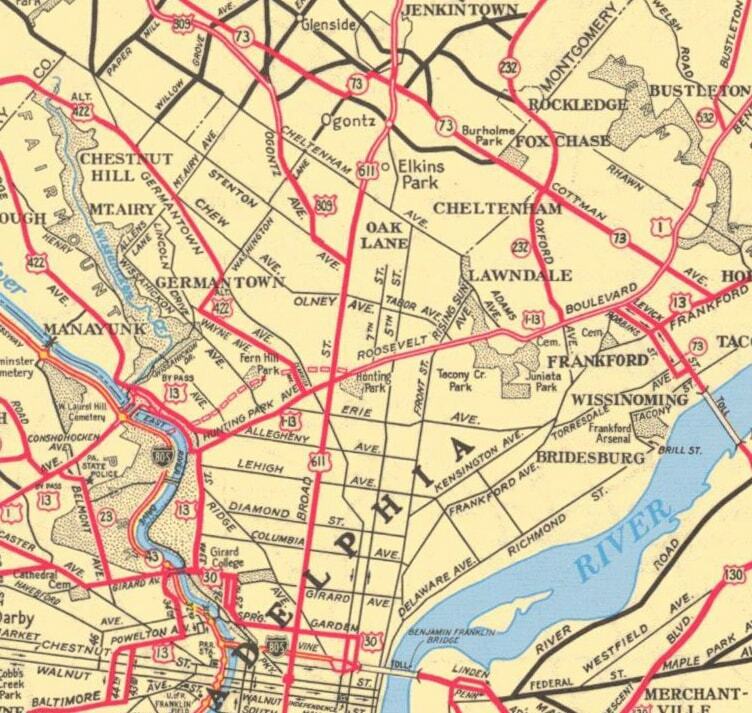 None of these routes extended beyond Pennsylvania; by 1972 all but one of them had been decommissioned, and in 1985 the last one was truncated to a point outside of Philadelphia city limits. 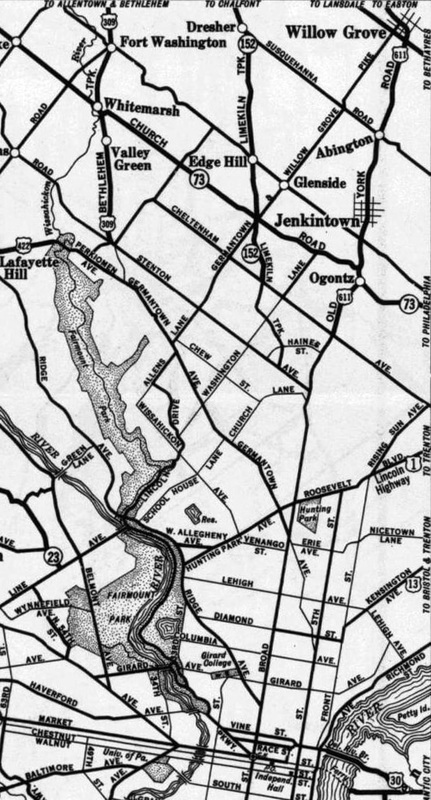 US 120 was among the routes in the original 1926 plan, and its east terminus was listed as Philadelphia. 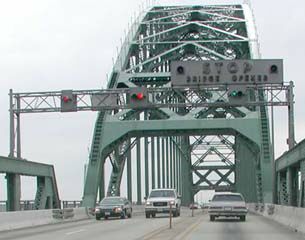 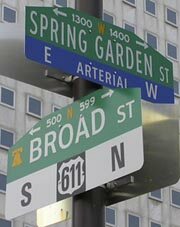 However, it was never actually signposted there, because its easternmost segment was replaced by US 422 in 1927, and US routes were probably not signed at all in Pennsylvania until 1928. 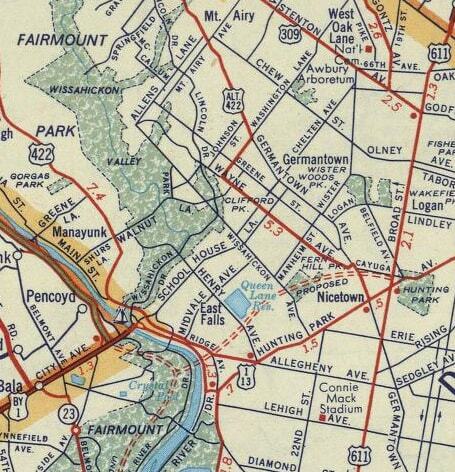 ​PA 611 follows historic US 611 northward all the way up through the Poconos. 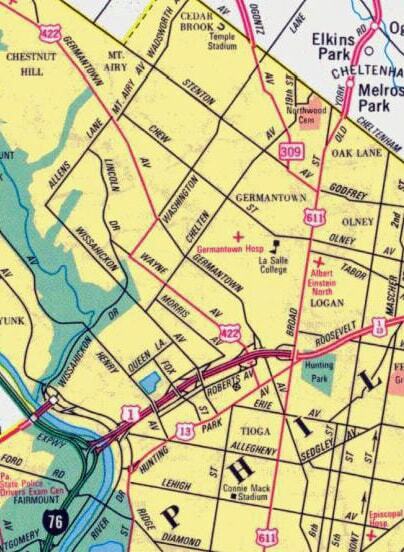 US 1-13 continued straight, but traffic angling to the right on Allegheny was at the east beginning of US 422. 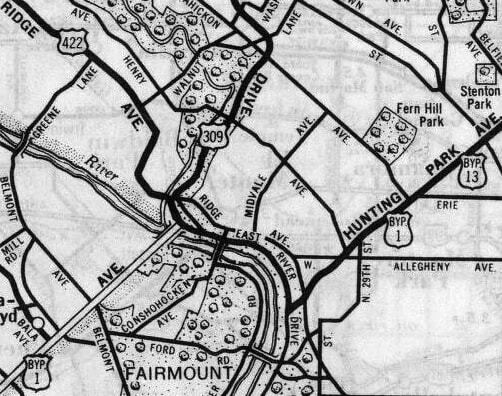 That map illustrated another change, one which occurred in 1968: US 309 was decommissioned and replaced with the PA 309 designation. 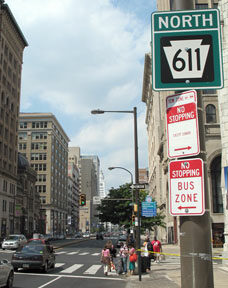 Then in 1972, US 611 was replaced with PA 611. 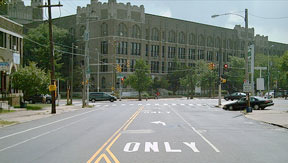 Finally, in 1985, US 422 was truncated to its current endpoint outside Philadelphia, and since then no US routes terminate in the city. 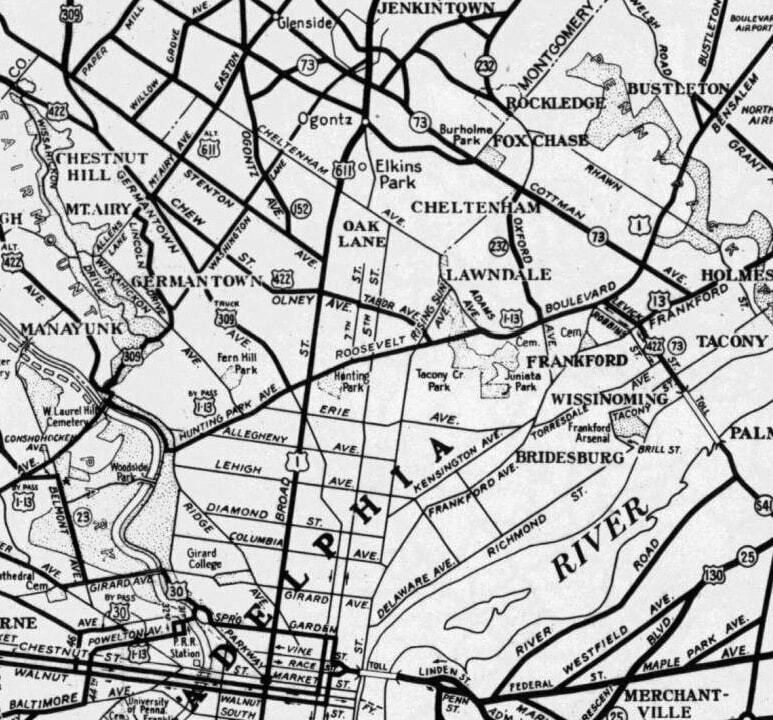 Research and/or photo credits: Nathan Edgars; Chris Elbert; Andy Field; Christopher Mason; Steven Nelson; Alex Nitzman; Dale Sanderson; "fdocbc"